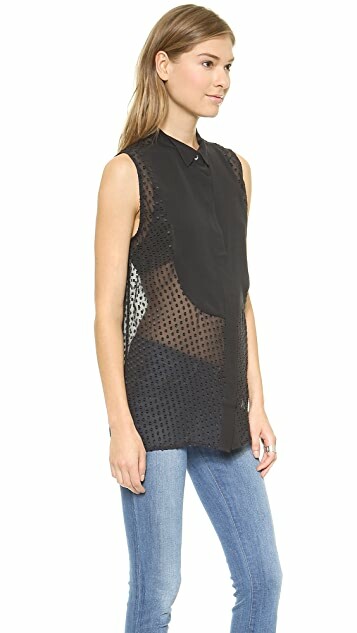 A raised dot pattern adds intricate charm to this Equipment blouse. A double-layered panel descends from the turned-down collar and frames the hidden-button placket. Sleeveless. Sheer. this is a great top. the fabric is great quality, as is everything from Equipment. I think it can transition nicely from day to night if you throw a blazer over it during the workday.